It’s been a wonderful month here at Rainbow Valley Farm. 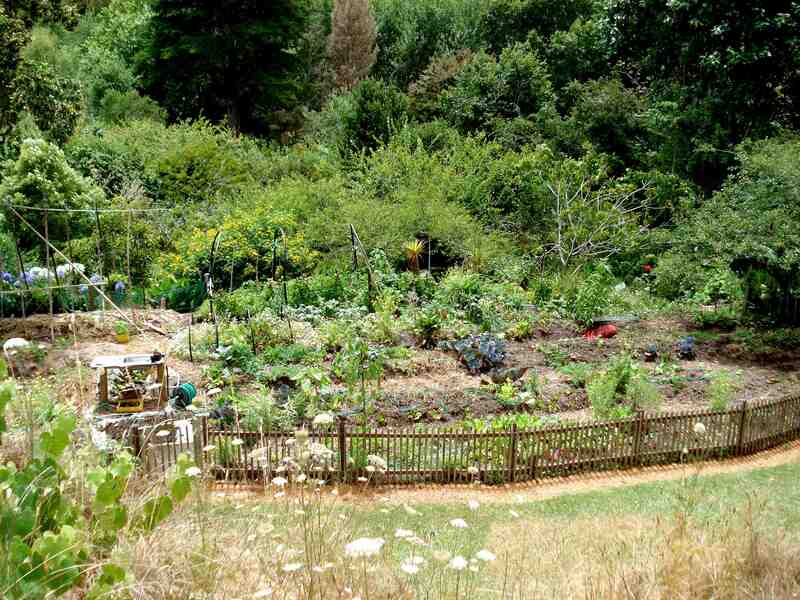 I’ve learned a lot, and have appreciated seeing an established “permaculture system” at work. We’ve been busy, but I’ll try to catch you up on all of it. I also thought I would post a few pictures of the farm so you can get a better idea of where I’ve been. View of the left side of the garden from the roof of the main house. 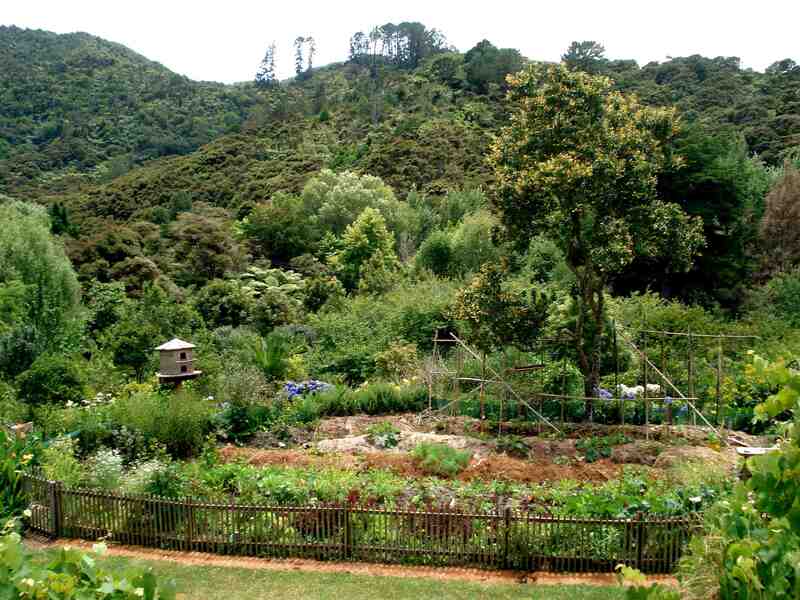 You can also see the orchard directly behind the garden, and the bush area extending up the other side of the valley. In the end I made feta using two different methods. The one I mentioned in my last post, which was by fermentation. 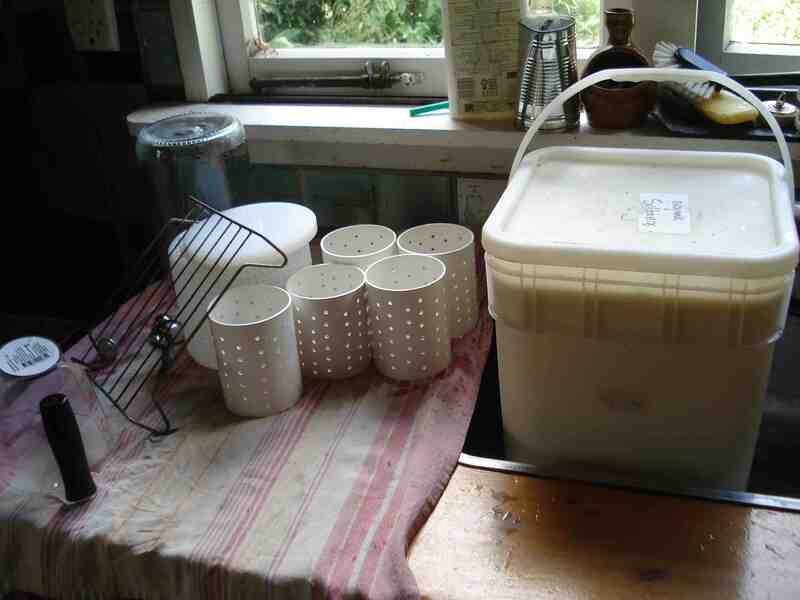 The second was the more conventional method using starter cultures and rennet. Both turned out tasty despite some minor hiccups along the way! 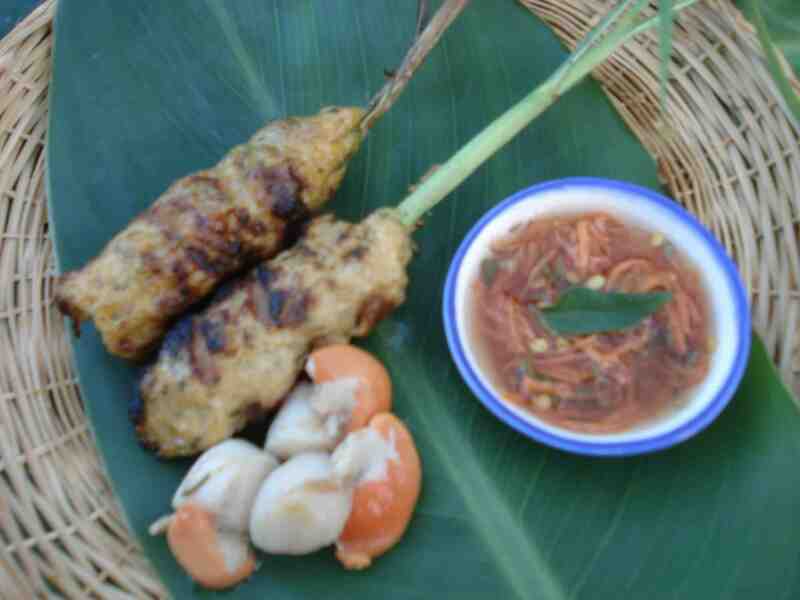 The fermented one had a milder flavour, but better texture, took longer to make, but was less work. I think the cultured one won on flavour, but it was a good chunk of a Sunday spent stirring, measuring, taking temperatures, and draining. Fran has been working hard in the garden getting everything in order for the summer growing season, and producing lots of food for the upcoming courses. Every good garden needs good compost, so Tom and I decided to make a Hot Compost pile so Fran would have some extra compost to work with. Hot Compost works the same way a regular compost pile does, but it’s has a finished product in as little as 18 days instead of months. 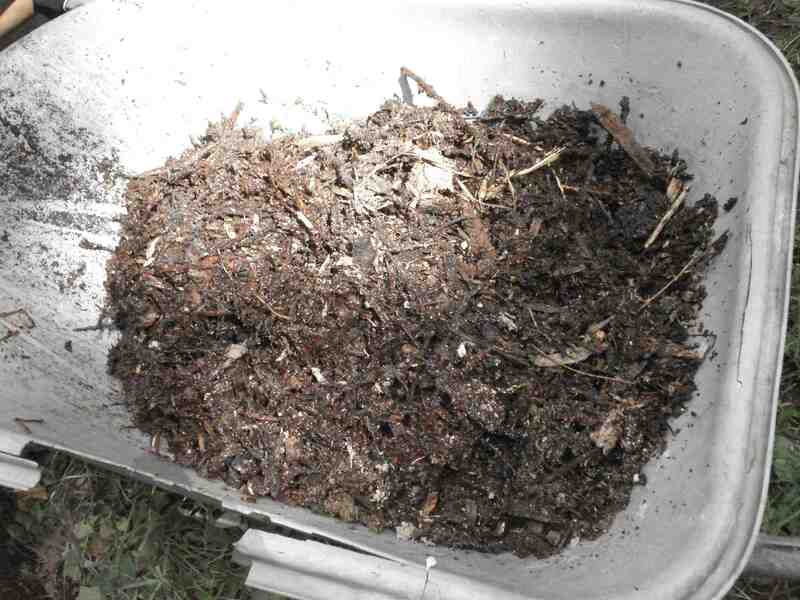 We layered up cow poop, brown material, kitchen scraps, and weeds in a one cubic meter pile. The pile gets so hot from all the bacterial action that most weed seeds are killed and it’s steamy when you turn it over. Every few days we’ve been turning it over and keeping it moist. It’s starting to look pretty good! Russel and I had the honour of cleaning out the composting toilets. Actually, it wasn’t that bad. 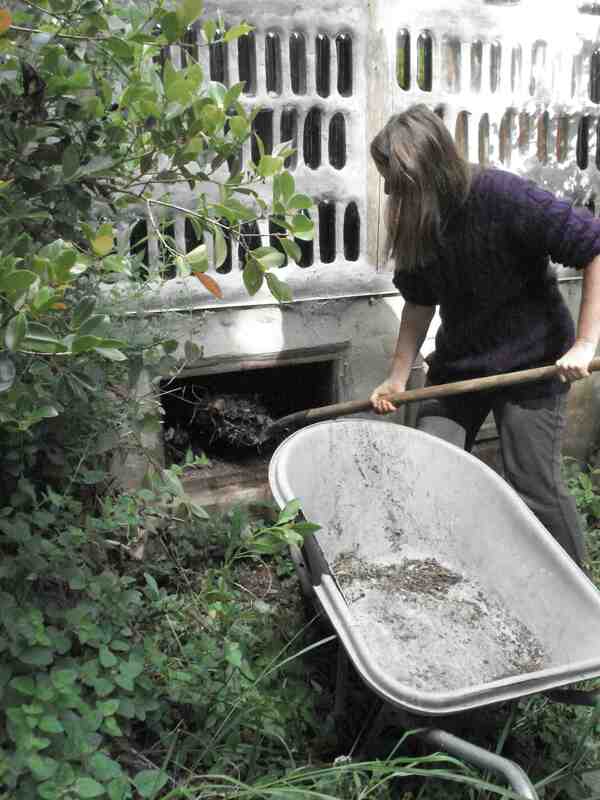 Unlike long drops or out houses, compost toilets don’t smell bad and the ‘finished product’ is pretty harmless. The farm uses a vermiculture system that is a lot like home worm farms for composting – each worm eats its own body weight in organic matter a day, and poops it out as a nutrient rich composted material. Obviously what we were digging out was not fresh, it had been sitting long enough for the worms to get their work done – a few months. 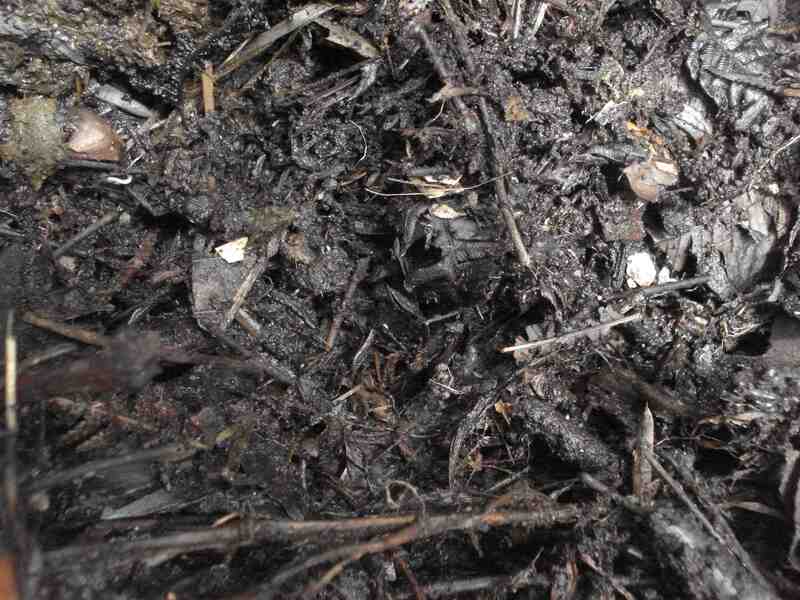 Most people don’t use this compost directly in their gardens, but it is possible if you’ve let it cure enough to ensure that any pathogenic bacteria has been wiped out. There’s no problem putting it on perennials or in an orchard though. The finished product. Looks like dirt to me! I’ve been looking after the poultry while I’ve been here, and lucky for me it’s been duckling season. The ducklings I told you about last time are doing really well, and have gotten quite big under the protection of Mr Gander. 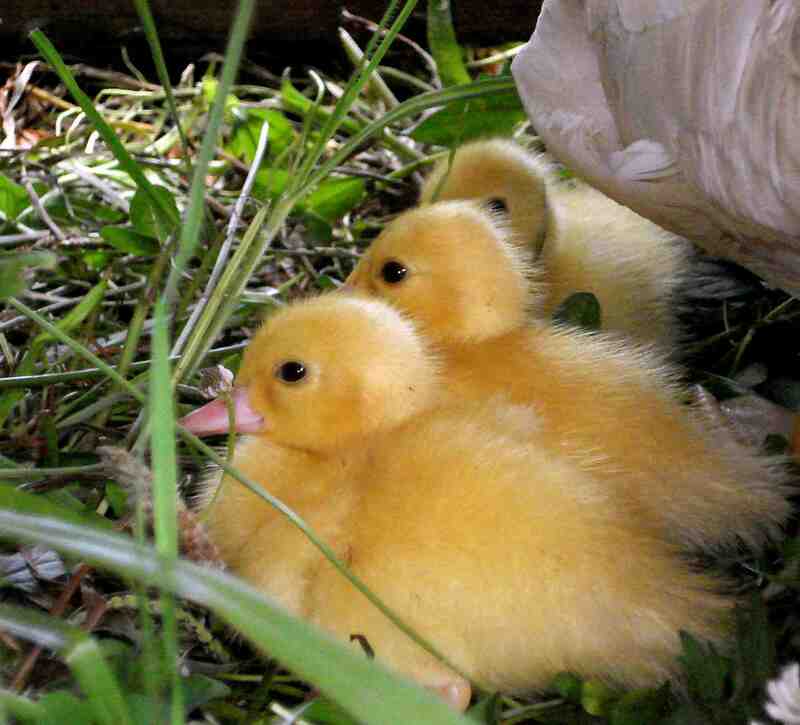 One of the Muscovie ducks hatched six bright yellow fuzz balls two days ago. They’re so cute! Unfortunately they’re also tasty. Stoats, eels, and ferral cats are on the hunt and took out half the pack within 24hrs. Down to three, we moved them into a chicken tractor where we hoped they would be safer. Every Saturday there is a Farmer’s Market in Matakana. 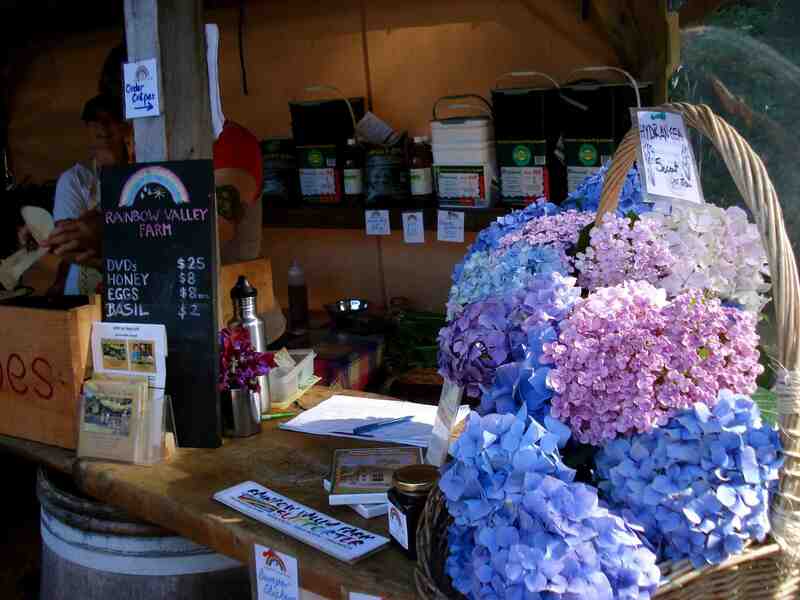 The farm has a stall that sells produce, honey, fresh cut flowers, and organic crepes made to order. I’ve been helping out most weekends that I’ve been here, and it’s been sweet as – live music, lots of fresh local organic produce, friendly people, and delicious crepe snacks. Hands down THE BEST oranges I've ever tasted! They're so sweet and juicy... yummy. Merry Christmas, Happy New Year, and don’t forget summer solstice! 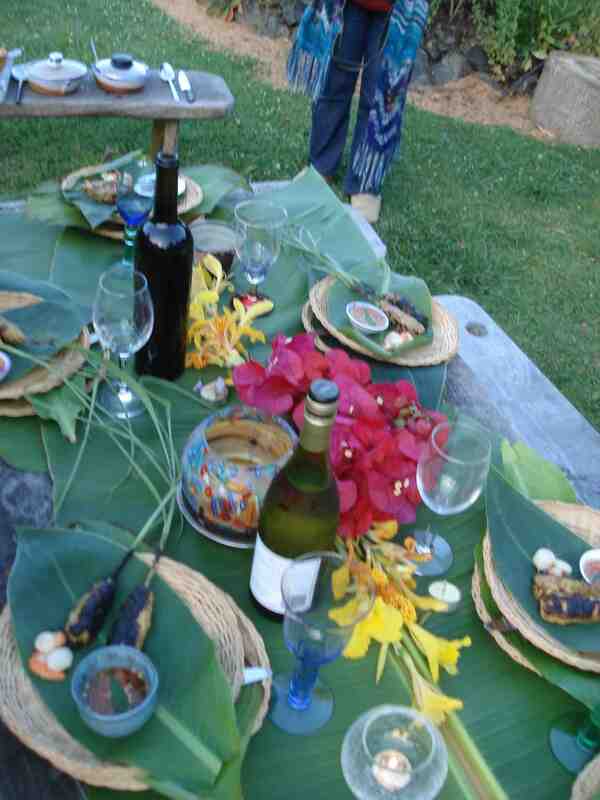 We celebrated Solstice at the farm with a magnificent feast so some people could spend Christmas with their families. 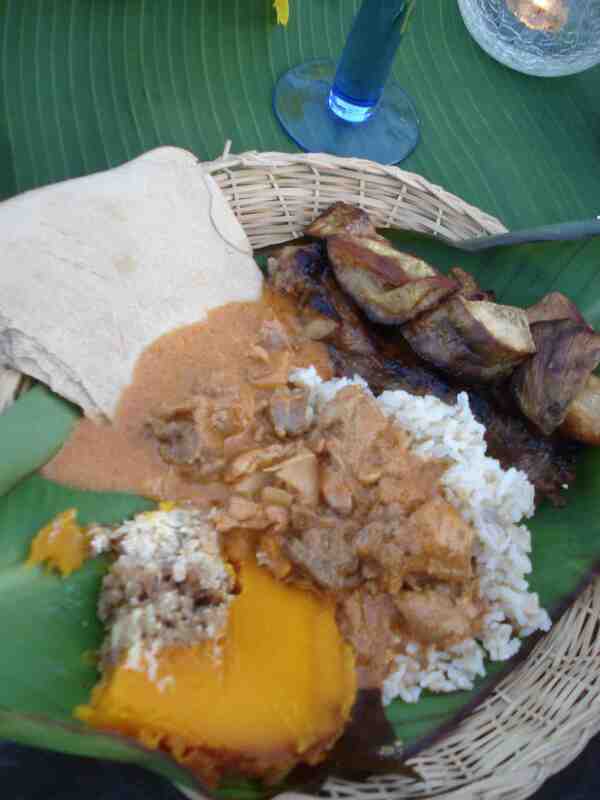 Each of us made a special dish of delicious food. I made butter chicken from a recipe that Rob swears is the best…. and I started with the chicken. A couple of happy campers! Christmas was a bit quieter, but just as lovely. It was my first Christmas away from home (*tear), but was bearable because the Farm and country weren’t swept away by Holiday Fever. It was also my first Christmas on a warm beach (Tofino doesn’t count). The water was so warm! 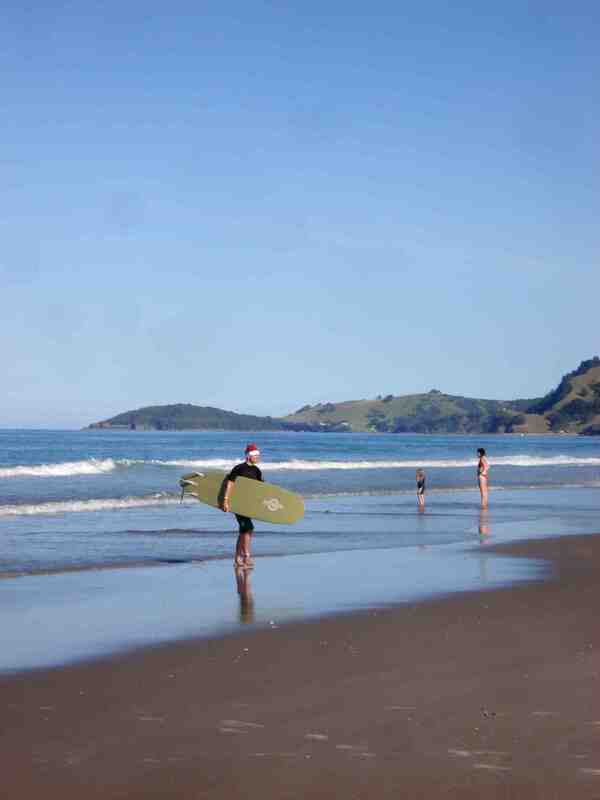 Even saw Santa (or one of his elves) take a quick break for a surf. Me and my cape. I picked potatoes at noon (bad timing), and forgot to put sunscreen on my back - needless to say I got a bit burnt. 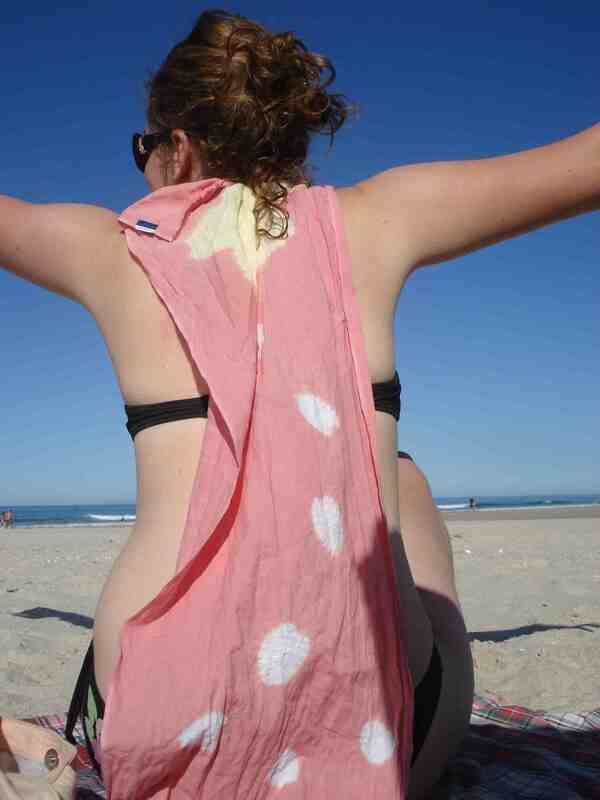 The Cape did a good job of protecting my burn for the rest of the day. 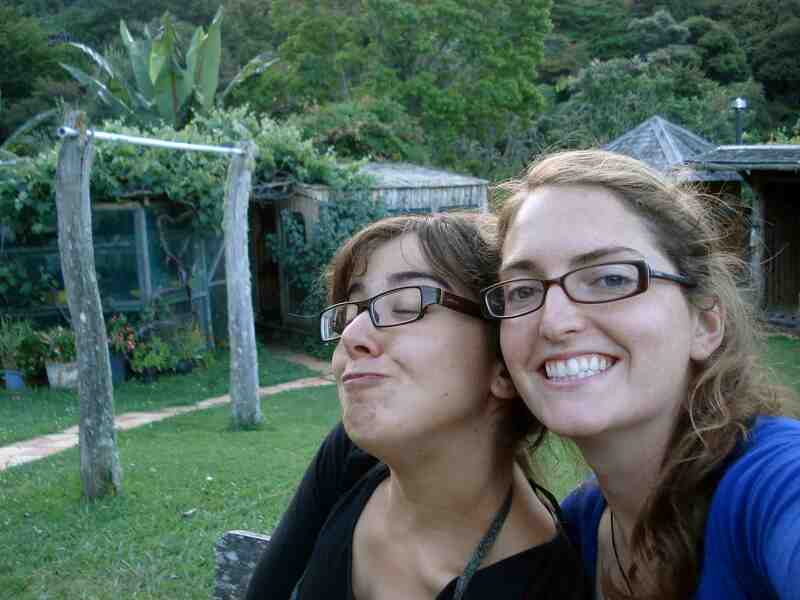 My first week on Rainbow Valley Farm coincided with monsoon rains. The first few days the mornings were pleasant, and just as we would sit down for our communal lunch the rains would begin. It was like clock work. It started with a little drizzle and quickly became torrential! Soon after we finished washing up the lunch dishes, the clouds would part and we could get back to work in the humid heat. A few days later the rain settled in, and it poured for about three days. The last day was amazing! It was so loud that we had to raise our voices, and it just kept getting louder and wetter as the day progressed. The gutter above the door to my room got clogged, so by the middle of the night I had a waterfall shooting off the roof in front of my door! By noon the next day the property was starting to flood. Trish, the owner of the farm, said it was the biggest flood she’d seen on the property in over twenty years. 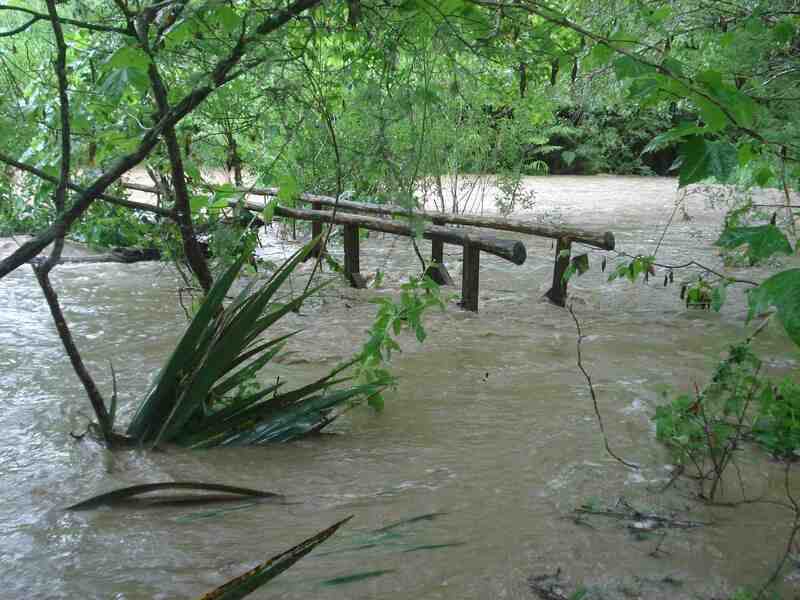 The flooding was caused because the farm is situated in a steep valley. The ground became so saturated that the rain just ran off, and flooded the valley stream. Luckily the main house and wwoofery (housing for interns and wwoofers) were up high enough on the hill to not be affected. Just as quickly as the water had come up it subsided. The wood lot had been shifted a bit, the permanent tent was a little damp and silty, and the lower paddocks looked flattened. 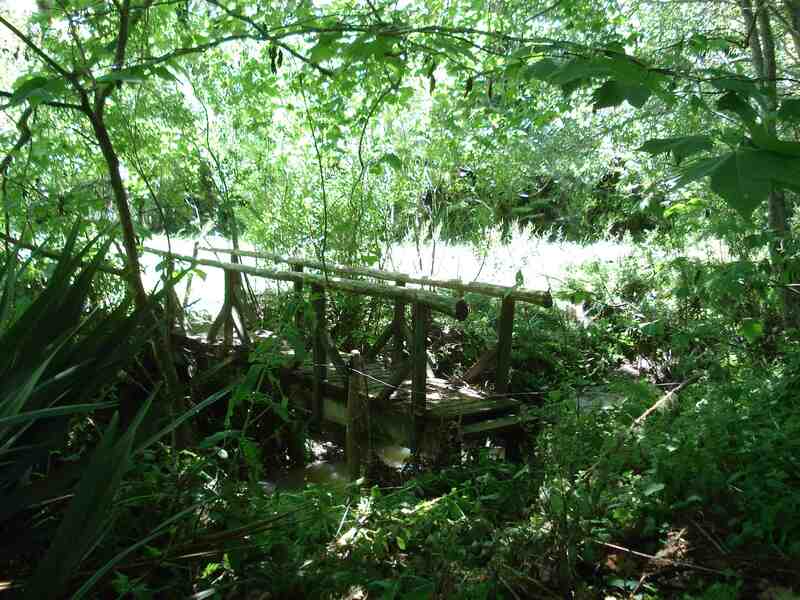 Amazingly none of the fences broke, the bridges held up, and nothing was shifted too far. “Birds of a feather flock together,” doesn’t quite ring true on this farm. We’ve got chooks (chickens), ducks, geese, and guinea fowl all living a somewhat harmonious existence. One of the first tasks I was given was feeding the poultry and collecting the eggs. I quite enjoy it as a start and end to my day. Until recently, all of the poultry was totally free ranging on the farm, and most of them stuck to the orchards. It’s quite cute to walk through the orchard and around the wwoofery and find random and creatively placed nesting boxes that have now been abandoned. Having free range chickens in the orchard for over a decade began to take it’s toll as they had started to scratch down to the shallow rooting systems of the fruit trees, so things changed! 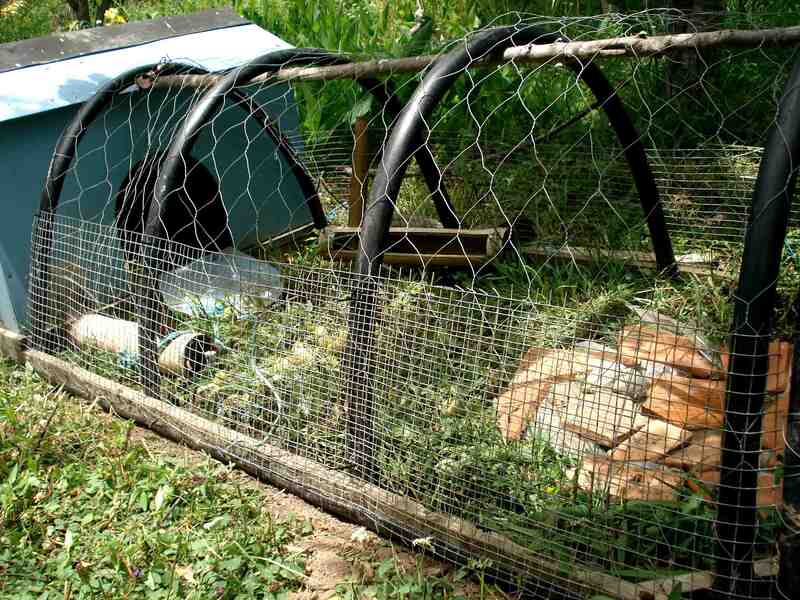 The chickens were split into three groups – a chicken tractor, a flock for the hen house, and a small group to remain free ranging in the orchard. Some of the ducks joined the hens headed for the house, but the most of them and the guinea fowl and geese stayed in the orchard. Since the switch up the orchard has changed a lot. There is a new rhubarb patch, and lots of undergrowth growing back, and still benefiting from the bird poop fertilizer. 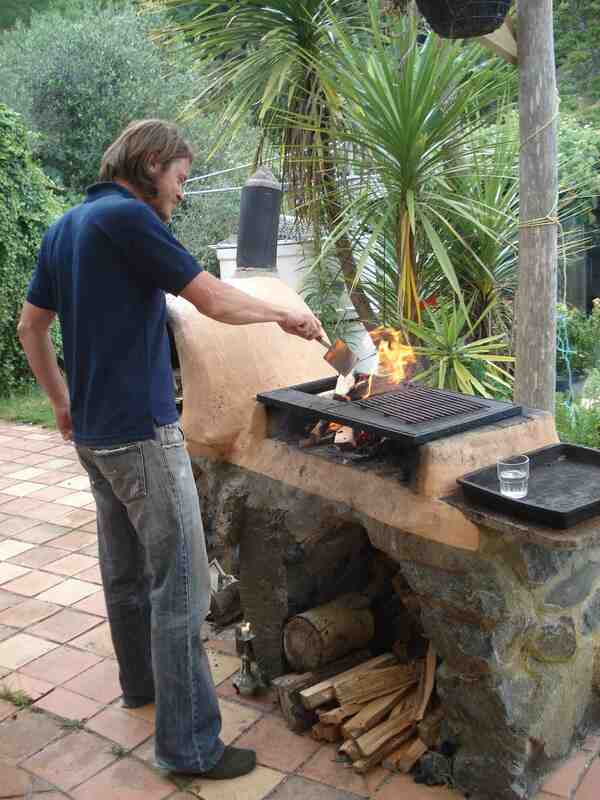 A favourite nesting box or a wood oven? As with any barnyard, there is a love story to share. A few years ago Mrs Goose passed away, and Mr Gander was left heartbroken and lonely. Then one day his eye caught a sleek looking black duck named Victoria. It was love at first sight, and he has been at her side ever since. Victoria enjoys Mr Gander’s company alright, but she has been a bit promiscuous. Eight little ducklings were born just a few weeks ago, but Mr Gander seems to think they could only be his. He is very protective of them, and they’re growing very strong as a result. 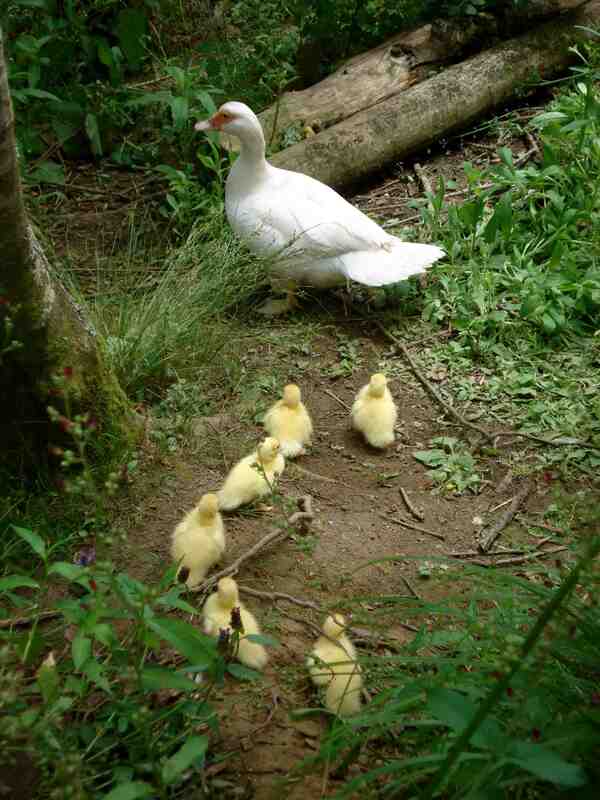 Meanwhile, Ms Goosey was introduced to the flock as a replacement for Mrs Goose. Smitten immediately with Mr Gander, Ms Goosey tends to spend her days following Mr Gander, Victoria, and their ducklings around – I have yet to decide whether it should be classified as stalking or just the nature of a protective aunt to the ducklings. Mr Gander and Ms Goosey team up to be bullies at feeding time, and I’ve had a really hard time dealing with their behaviour. If they were simply being mean for the sake of it and stealing everyone else’s food then I suppose they could have been moved or isolated for a little bit. However, they’re only acting out of protection for the ducklings. Most of the other birds have realized this and stay a safe distance away from them at all times…. I think Mr Gander gets a little bit bored by their good behaviour and lashes out indiscriminately on occasion. He doesn’t respond when I tell him off. The hot and humid summers here make for good rice growing conditions. It is probably the only rice paddy in New Zealand, and produces almost enough to sustain the farm. They’ve been experimenting with annual versus perennial systems of growing rice. Although it is more common to grow rice on a small scale annually because it is a staple and yield has to be consistent for subsistence farmers, friends of the farm in Japan have insisted that their perennial rice has higher yield. The easy part of growing annual rice is that at the beginning of the season the paddy can be drained and thoroughly weeded, and then rice transplanted in, and ducks added to keep the weeds down and fertilize. The hard part about growing it perennially is that this weeding has to happen between the already establish rice plants, and more often… it’s a lot more work. Hair of the Day Winner: Fran! Off we went to weed the rice paddy! Honestly, I don’t think I even imagined spending time in a rice paddy, but it was quite enjoyable. Especially once I got the hang of keeping my legs wide enough to keep balance and limit how much I had to bend my back. Fran ‘accidentally’ threw her handful of mud and weeds at Tom instead of the bank. From that point on there were random missiles of mud flying in every direction. We were filthy by the end of it, but my skin was softer! Who should get the next mud bomb? 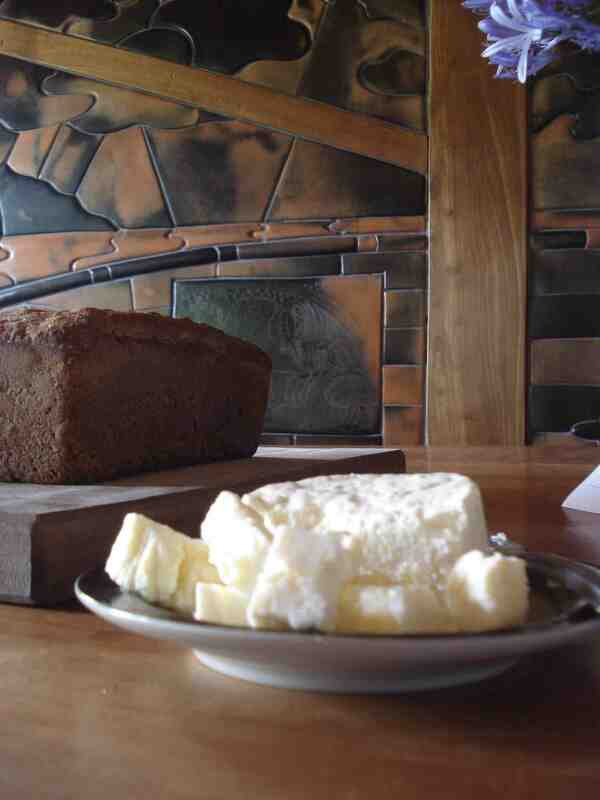 Some of you may already know about my fascination with making my own cheese. Just before I left on this trip I bought a little starter kit, but decided to wait until I got back because I didn’t have enough time to finish it, and by that I mean eat it. 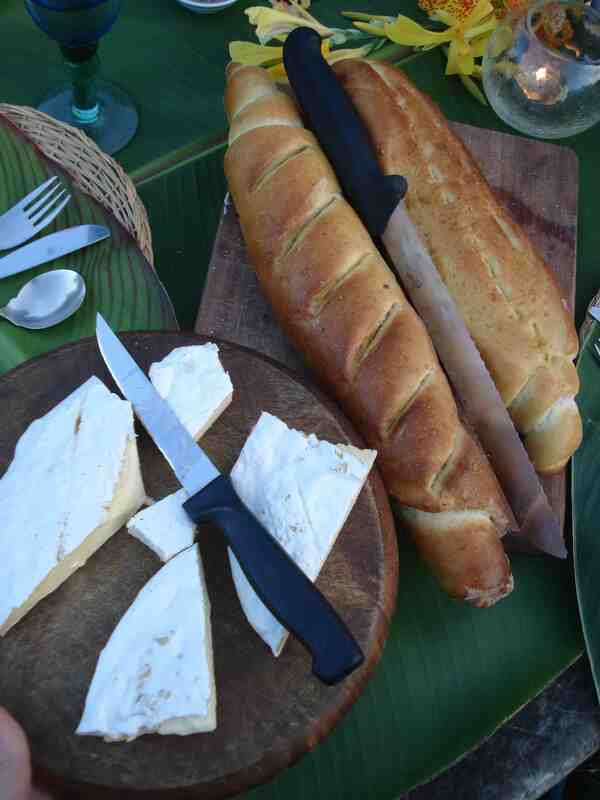 It was just my luck that Joc, the farm’s people care manager, is an accomplish home cheese maker! Even though I’m only here for a month, it is more then enough time to make feta. YAY! One of the farm hands, James, regularily buys raw milk for his family and he was happy to fill a few bottles up for Tom and I. Tom made a MASSIVE block of camembert that is still curing, and I’ve made a wee little blob of feta. Today I’ll be taking it out of the mold and putting it in a brine solution for a week or so. Hopefully by then we’ll have some lovely tomatoes and cucumbers to make a big greek salad! Some ancient greek ancestor will be proud! Just the cutest little thing all wrapped up in a banana tree! 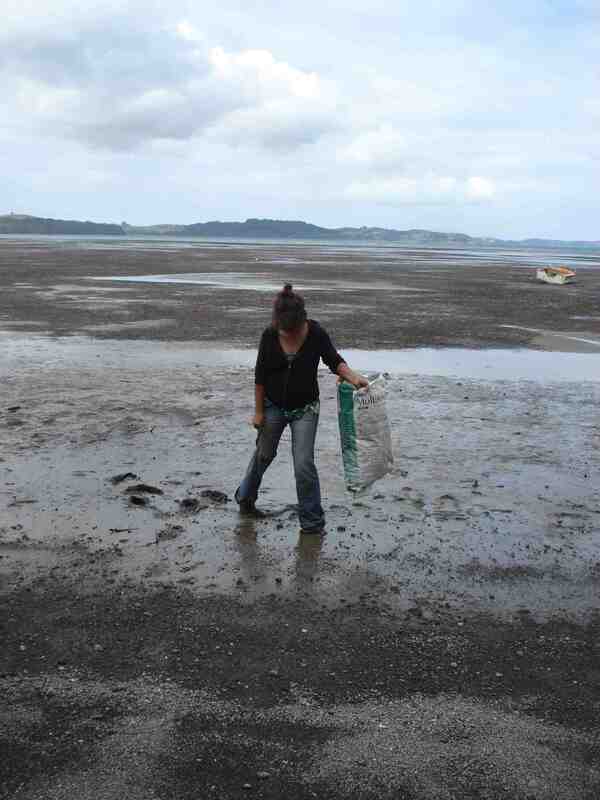 After finishing up with the Permaculture Design Certificate I decided to try my luck at actually getting my hands dirty! 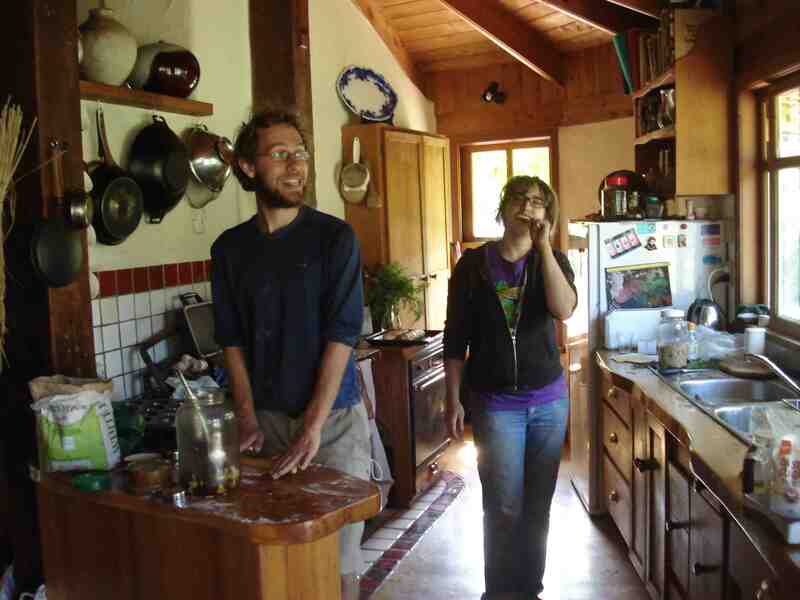 I found a few permaculture groups in towns on my route up North, and contacted them to see if they had any work parties or cool events coming up. Permaculture Cairns was the only group that got back to me, but I was able to arrange to help out with a community garden renovation project they had planned. Essentially the garden had been running well for a while, and then the main organizer moved on to greener pastures (and a cooler climate?) and the whole thing ground to a dead stop. It’s really too bad because the garden has a great location on an elementary school grounds. Permaculture Carins was alerted that the garden needed some TLC, so they organized a day to re-vamp and renovate, and hoped to get the surrounding community involved so there would be renewed local energy brought to the project. SO we all got together and worked our buts off in the hot sun, and got the garden back into tip top shape! I worked on the Banana circle for most of the day. It's hard to see here, but there is a big pit in the middle of the circle that is filled with organics and mulch... then more mulch around the trees... and another layer of mulch for good luck! Compost workshop underway. The big chicken wire bales are for measuring out the correct amounts of brown mulch, green mulch, and manure. Sorry this is a quick one! I’ll add pictures when I’ve got a better connection! When the PDC began Geoff spoke about memory. How time seems to inch by slowly in the moment, speed by upon reflecting on it, and hold no real definition or colour when there is no emotion or life attached to those memories. But when experiences are full of life and emotion, time passes quickly in the moment, but in reflection memories and time expand seemingly forever because everything is held in vibrant technicolour and detail. It makes sense to me; even the difference in how children and adults perceive time makes sense when you think about it this way. Everything is fresh and exciting for curios children, so time seems warped and expanded. Unfortunately, for so many adults time speeds past as they work uninspired by their surroundings. Anyways, my point is that my time doing this Permaculture Design Certificate (PDC) has sparked every curiosity and passion I have for the inner workings of our environment, and how these systems are connected and can be enhanced to support a hopeful & sustainable future. Every subject that I studied in University, from hydrology to ecology and toxicology has been drawn upon, and I can’t wait to learn more. Often while I was studying at Uni I enjoyed myself, but felt that there was something missing – the link between all these topics. For me, Permaculture is providing this link, along with realistic and practical ways to act upon this knowledge to create positive change. Transformative and inspiring, I’m excited to move on from the farm to learn more and share as much as I can. 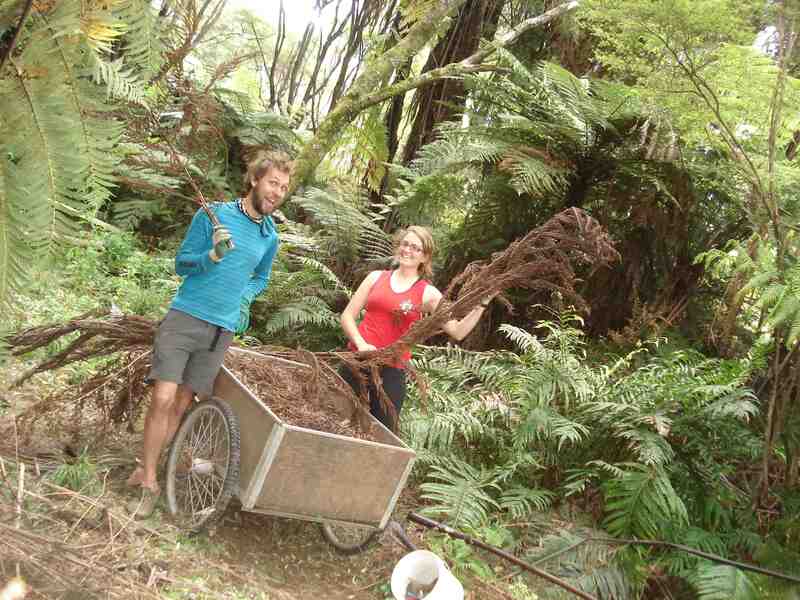 So are you wondering what all this permaculture stuff is about? It’s a good question and to be honest it’s difficult explain. Geoff has a great analogy that might be helpful in explaining it. If you can imagine all the different techniques and tools for sustainability that you can think of (i.e. biodynamic farming, alternative energy, bioregions, etc) – they all fit on clothes hangers. 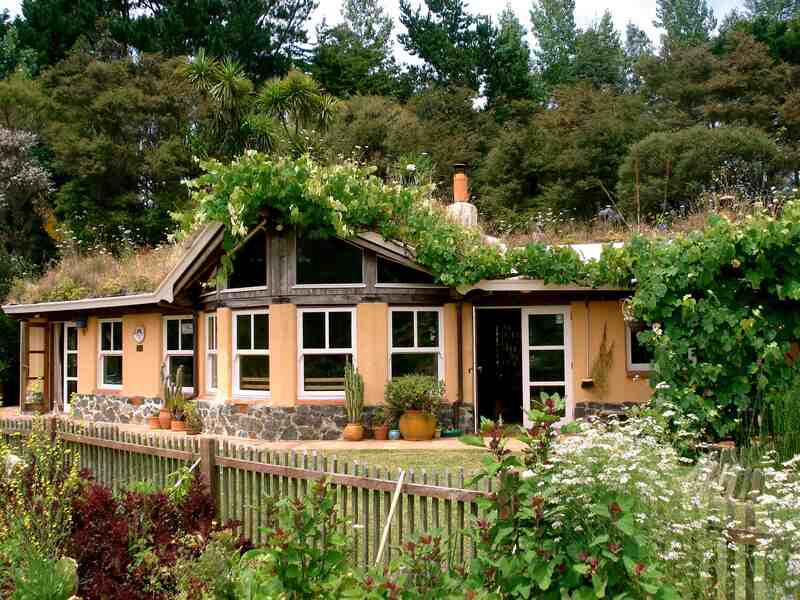 Permaculture is the wardrobe that holds them all, connects them all, and organizes them into a functioning system. 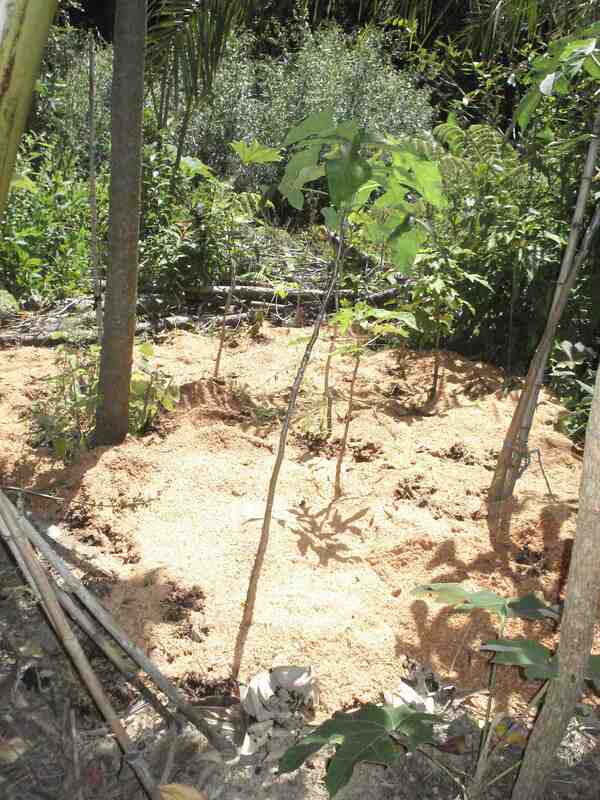 A big part of permaculture is food production, but I think it is less about agriculture and more about regenerating and repairing the land and soil. To do this we mimic natural ecosystems and succession in our designs, and understand where food production, farms, communities, cities, etc, can fit into and enhance these systems. It is a scientific design of landscapes to create and enhance ecosystems within which sustainable systems for food production and communities to thrive. Each element of the system serving multiple functions, using resources from within the system, and providing resources for other elements within the system. It draws upon and connects all the sustainability tools we already have into a cohesive and efficient system. I thought I’d give you a snapshot of what hanging out on Zaytuna Farm has been like instead of describing every day in detail and writing for pages and pages! So here’s last Friday night! After dinner we were all milling about the veranda when one of the interns walked by; she had a big torch (flash light) in her hand and looked like she was on a mission. Someone piped up and sarcastically asked if she was off to check on the sheep or something. “Yes I am. No one has checked on them yet today and you know what happened the last time we left them,” she replied. The “last time” the sheep were not checked, twins were born and no one had known about it! A couple of us got up and followed her up the driveway to the paddock. We decided to keep going and go for a walk to stretch our legs after the long day of class. We wandered up the road, passing rolling farm fields, and eventually ascending a steeper road up the ridge. As we passed pockets of trees along the road the occasional flying fox (a theme seems to be developing here) would pop out of the canopy and fly overhead. However, as the road got steeper and the trees became denser there were more and more flying foxes! As I tried not to freak out about the increasingly blackening sky over our heads, I heard a “splat” and felt a cool liquid running down my face. I suppose it’s good luck to be pooped on by a bat? I’ll leave it up to you to imagine the screeches, laughing, and mad attempts to wipe my face clean. I wore my hood for the rest of the walk. As we got back to the Zaytuna Farm gates, we noticed that another student was in the sheep paddock trying to heard them into the small holding pen. We yelled to him to see if he needed a hand, and he responded, sounding a bit exasperated, that help would be great. Remember that it’s probably past 8pm and the sun has long set. We jumped the fence into the paddock, put our head lamps on, and got the low down on what was happening. Just after we had left for our walk, Fleur (the intern) had found a new born sheep on the wrong side of the fence (talk about intuition)! It didn’t look well, and had been rushed down to the house. Details beyond that were scarce, and time was short – our mission was to identify the mother sheep and get her into the small holding pen so she could be milked for the lamb. We ran, we stalked quietly, we formed barriers to try to close in on the flock, but we had no success. We would occasionally spot the mother amongst the crowd, but couldn’t get her separated. To our credit, it was dark and this particular breed of sheep is incredibly skittish. After about half and hour of running around in circles (literally), Geoff and a bunch of the other interns and students arrived on the scene. One or two circles with our bigger crew proved no more successful, and we decided to abandon ship. They had been successful in milking one of the cows, and it was decided that would have to do until morning. Despite our efforts, feeding her cows milk, and warming her up by the kitchen oven, the little lamb passed away shortly after we got back to the house. With a sigh and a moment of silence, Friday night on the farm came to an end. The PDC ended today, and already the atmosphere on the farm has changed significantly. It’s much quieter and calmer now, and it was really nice to spend the afternoon decompressing after the intense two weeks. The last few days have been particularly intense because we actually completed a design consultation exercise! 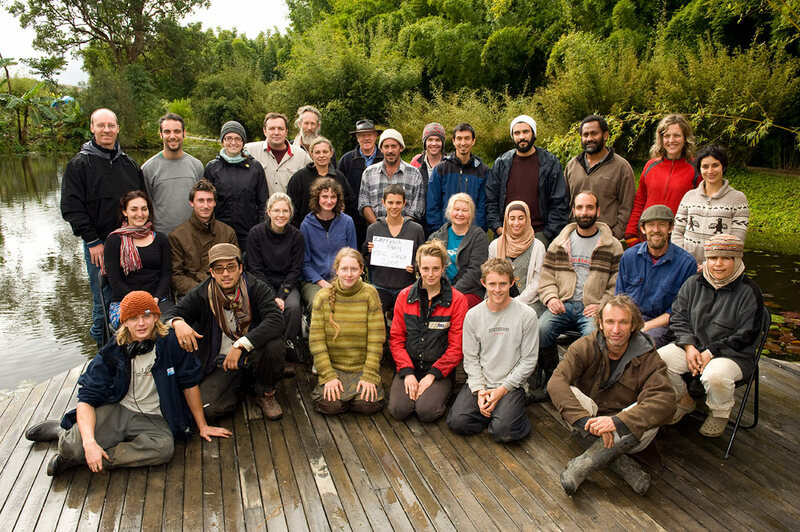 We were split up into four groups, and each group worked on the same property – our resulting designs being a donation to property owner as a community service the Permaculture Research Institute likes to do. We visited the property, got a brief from the owner, and got to work designing what we thought would fulfill all the owner’s priorities. However stressful and time constrained it was, It was also really exciting to actually go through the process, and I think that it will make it a lot easier to go out on my own knowing that I’ve done this starter exercise. Yesterday afternoon, the property owner came down to the farm and all the groups got up and did 45min presentations. 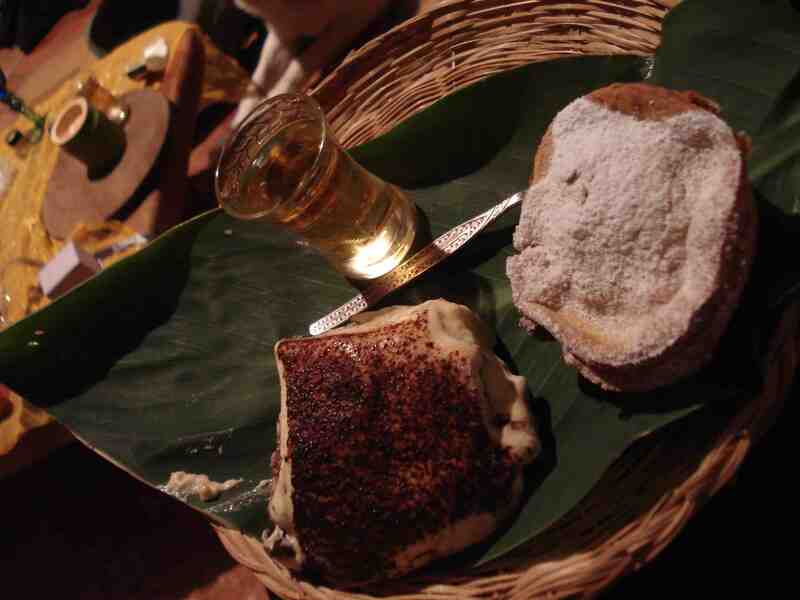 After all the presentation finished, we had a big feast, and then the party began! Everyone was required to do an act, and we had so many talented musicians, singers, and performers – it was a great night! I think it would have been a bit anticlimactic to end the day after the presentations finished, but the party was a great way to wrap it up. It was also nice to see that after only a couple weeks of knowing each other, our group was comfortable enough to do a talent show like this. That’s a good question. 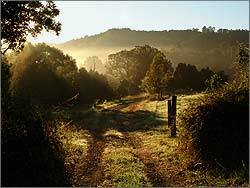 Tomorrow, I’ll be doing some tree planting here on the farm. 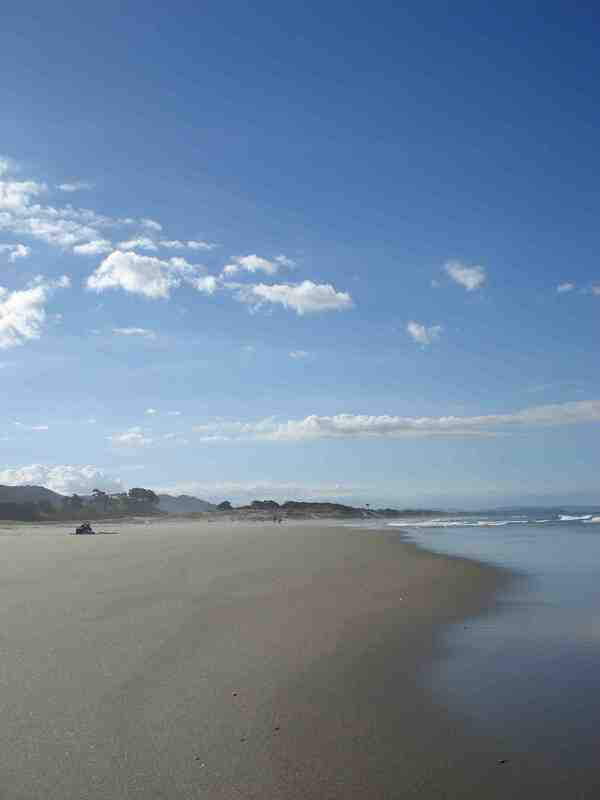 Sunday, I’m off to Byron Bay to meet up with Miranda. I’ll make sure to upload some photos then! Wow! I don’t know where to start… or where it will end! It’s been an amazing few days here on the farm. I don’t have the time or bandwidth to get into details, but Craig (the internet/media/photography guru here at the farm) has posted a few photos that you might like to take a look at. Click here to check out Craig’s recent blog post. *I’m hidden in two of the photos – look for the bright pink! 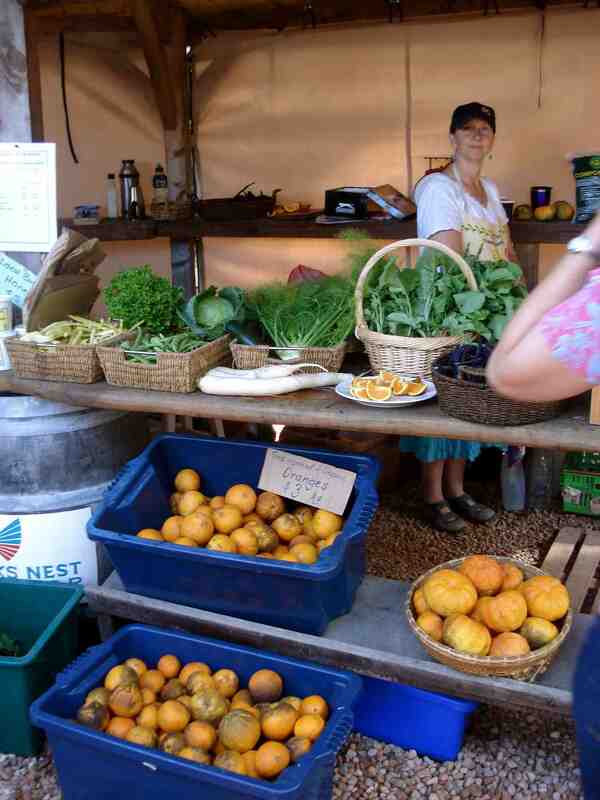 District of North Vancouver – Supporting Community Gardens & Local Food Systems?